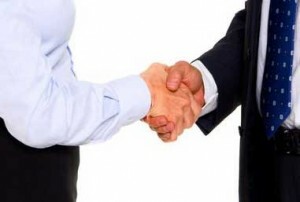 Do you have a hard time getting ad sales appointments with key media decision makers? Do you meet with a media decision maker once, but can’t get an appointment again? Are your advertising sales calls like a bad blind date for your prospect: too much of you talking not enough listening? Do you have lots of “good calls” that go nowhere? Do your prospects treat you nicely but fail to call you back? All ad sales people make appointments, go on sales calls, conduct pitches and presentations, and try to close sales. Why are some sales people so much more effective than others? Do you have meetings that are very cordial and frequently end with agreement to “stay in touch” that turns out to mean nothing? Are you doing your best to listen to the client but can’t get them to talk about their needs? Is it near impossible to get appointments with the top decision makers at your major accounts? Are you often directed to call on the “media buyer” who really has no power to buy? You have a lot of company. Thousands of advertising sales executives are in the market, working hard, but not as smart as they could be. These well-intentioned, hard-working sales people know their media property, and they know their clients, but they don’t know the 5 secrets of the top performers, the one percent, who win more business and more market share for their companies. If your business is selling major account advertising you have the same problem faced by hundreds of thousands of sales people in radio, newspapers, magazines, internet and mobile, outdoor and more. You win some business, but you know there is more to be won. Perhaps you sell newspaper print and online ads, and there is a big car dealer who only buys TV. The client says see the agency, and it’s clear the agency is doing only what the client wants. How will you get to the General Manager or the ownership of the dealership? Or perhaps you sell dot-com media and your biggest prospects are buying your competition, and making bigger and bigger buys every quarter. The buyer you’re calling on is nice but says that by purchasing from your competitor they have your sector “covered.” You know there is business to be had but you need to get an appointment with higher level influencers. But they say see the buyer. You could get that appointment if you know the 5 Secrets. The 5 Secrets address how to sell magazine advertising, or how to sell digital advertising with key secrets that address each part of the advertising sales process; getting appointments to engage with the customer, opening the ad sales call to achieve interest and get the client to talk, persuading the prospect and probing for and handling objections and closing. Do you know how to get your prospect to talk? Many advertising sales managers know they need to get the client to talk in sales presentations but struggle to do so. Research from Huthwaite, Inc. shows that getting the client to answer questions in sales calls is directly related to sales: More questions and answers lead to more sales. But many advertising sales executives are not sure what smart questions to ask. And prospects are in a hurry, so it’s hard to just ask a lot of questions. Sales people that know the 5 Secrets know how to trade information for answers. They know how to establish a rapport with a senior manager that will get their prospect to open up, discuss their needs, and tell the sales star what they need to know to win the business. Selling small accounts is nice. But to be a sales star you need to be able to win major advertising accounts. And winning major advertising accounts isn’t enough, you must be able to renew those accounts when your competition has been knocking on their door ever since you won the business. Do you want to sell the BIG accounts? Ambro.com developed the 5 Secrets of star advertising sales managers because, unlike most advertising sales training companies we focus on advertising sales training for selling big packages to major accounts. You can go many other places to learn simple sales tactics that will help you be average. At ambro.com advertising sales training we aim to make you great. Whether you are selling major accounts in a local market and it’s hard to get to the car-dealer owner, or the local bank president, or the hospital senior management, or you are selling national advertising for a major publisher or television network or digital property, you have the same problem of getting and staying engaged at the top of the power structure, and motivating those lower down in the organization to buy bigger from you. By learning the 5 Secrets you’ll be giving yourself the opportunity to separate yourself from the pack of average sales people and become a sales star. color of tie, or changing your personality.The 5 Secrets work because they help you understand the simple things that limit your success. “In my 8 years as a sales pro, I have sat through numerous training programs. 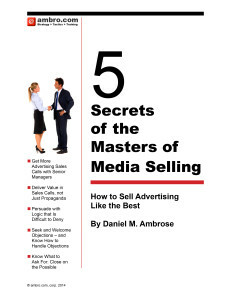 Did I mention the 5 Secrets of Star Advertising Sales Managers is free? So give yourself the advantage of the 5 Secrets of star advertising sales managers. Sign up here for the free Advertising Sales Imperative eNewsletter and receive an instant download of the 5 Secrets download. It’s easy. It’s fast. It’s free. Sign up now for the free introductory pass to the new ambro.com on-demand training modules being prepared for launch soon behind the scenes. At the launch date around the corner, all subscribers to the Advertising Sales Imperative will be offered a free trial period for the library of on-demand advertising sales video training modules and workbooks. 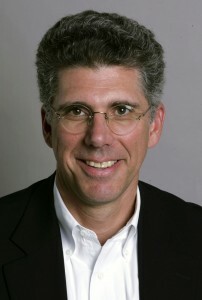 Daniel M. Ambrose has been a leader in publishing, advertising sales innovation and ad sales management for media companies for most of his career. In 1982 he sold a full size movie poster to be bound into American Film to MGM. In 1986 he led sales of multi-magazine packages at Hearst Magazines. At The New York Times Company he spearheaded the launch of “selectively bound” computer-driven reader customization of the print magazine Child so the magazine would grow up with readers’ kids. While providing strategy and tactical direction to his clients he has also been conducting formal advertising sales training seminars and webinars since 2001. He besides seminars for hundreds of private clients he has conducted public seminars for the Magazine Publishers of America, the City & Regional Magazine Publishers, Media Industry Newsletter, Folio, and many other media industry groups and associations. –Dave Branch, Group Publisher, Sail & Power & Motoryacht.